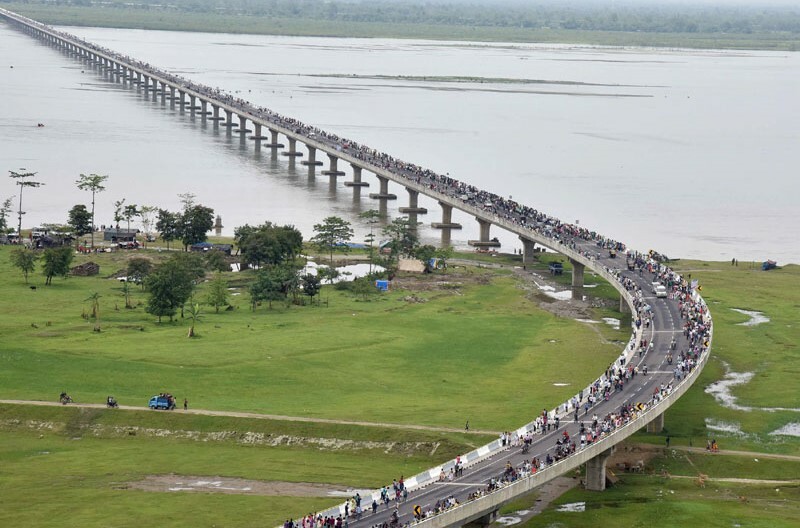 An aerial view of the Dhola-Sadiya Bridge across River Brahmaputra in Northeast India, which was inaugurated by the Prime Minister, Narendra Modi on May 26, 2017. 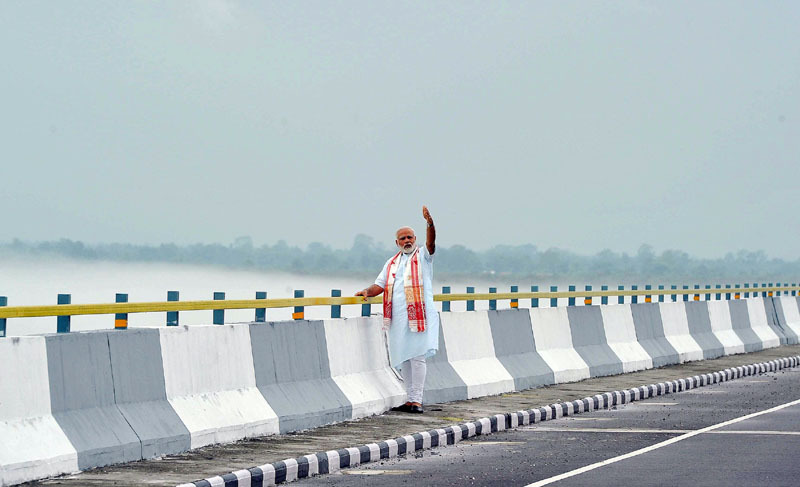 The bridge is aimed at enhancing connectivity and will greatly reduce travel time between Assam and Arunachal Pradesh. After unveiling a plaque to mark the inauguration, the Prime Minister travelled, and walked on the bridge for a few minutes. The Prime Minister also spoke of the immense tourism potential of Northeast India. The Union Government has decided to name the Dhola-Sadiya bridge after the great musician, lyricist and poet, Bhupen Hazarika.